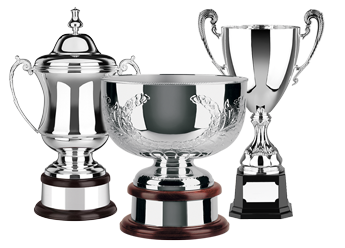 Four levels of nickel or silver trophies: Economy, Quality, Premium and Masterpiece. 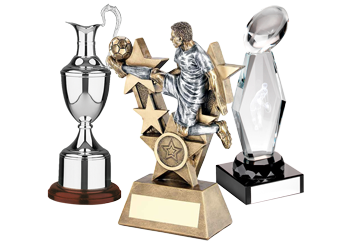 Sports-specific trophies and awards for over 25 different sports and activities. 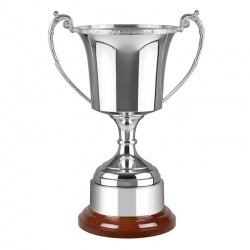 Celtic Rim Cup on Round Wood Base, Plinthband Included. 3 Sizes.